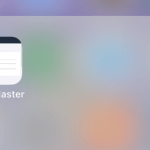 The dashboard page is found by tapping “Home” within the menu. From here, the member can see a broad overview of their profile’s information. This info includes their workouts, messages, measurements, upcoming bookings and total visits. Their visits to your fitness club are also visually displayed in a graph down below. Tapping any of the overview headings on the dashboard will take you to a more detailed description of the page. 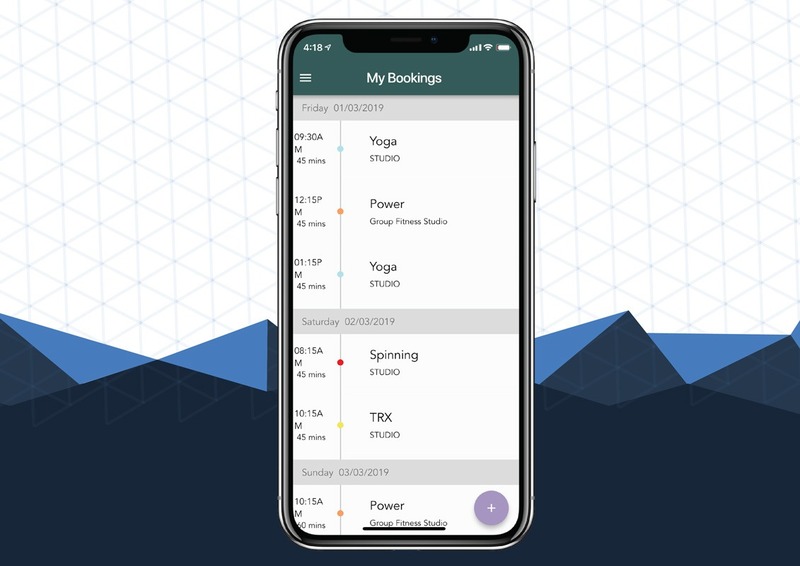 For example, “workouts” will take you to the page within the fitness club app where you can view your personal trainer assigned exercise routine – more on this later. The bell icon at the top shows any messages which the member has received from your club. These messages can also be received as push notifications if they have it enabled on their phone. To the right of this, the three dots take us to the QR code functionality. This allows members to use their phone to sign in to your gym if you use barcode scanners. Tapping classes takes the member to your club’s timetable. This displays the classes at your facility by the day on a clear and easy to use interface. From this page, they can see class names, its instructor, date, time and its location. The circle to the right displays the availability of the class. The left number indicates how many members marked themselves as attending. The number on the right shows the total available slots. To navigate between days on the timetable, members tap the arrows or the calendar at the top of the page. This allows members to see and book in for classes scheduled in the future. If we click on a class, we can see the information of the previous page but with more detail. The instructor can have a photo of themselves at the top so people know who is running the class. 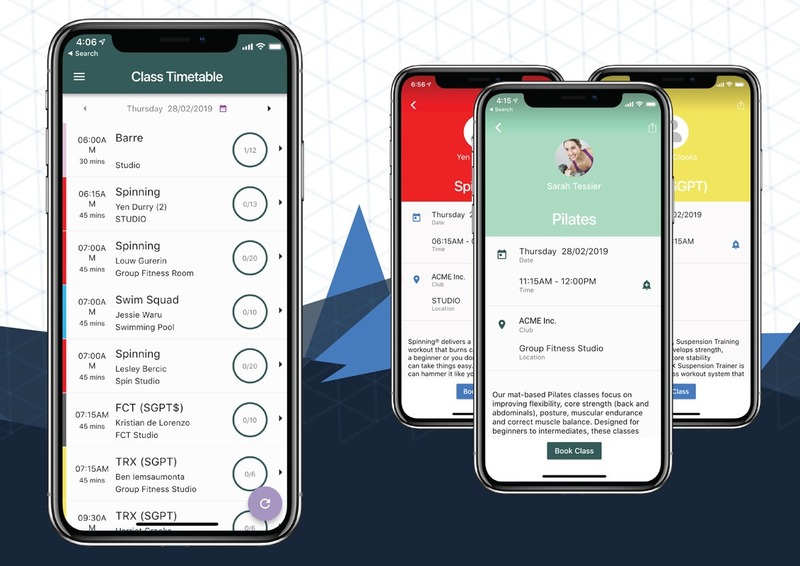 At the bottom we have a description which is taken from your GymMaster when you initally set up the class, giving members a bit of a background. At the top right you can see the sharing button for your members to invite their friends to classes on social media, email etc. If we press “book a class”, the available slots for the class are shown for the member to reserve their spot. Once you pick one, you’re shown a final prompt with the overall class details before you can confirm your booking. The bookings page displays any upcoming bookings members have made with classes or services within the club. To make one they click the plus button at the bottom of the page. Here members can choose whether they are booking a class or service. From the service page the member can choose the trainer or resource which they want to secure their spot within. For example, we might book in a one hour long personal trainer session. They are also shown the price for their booking before they choose this timeslot. This new booking is also linked with the personal trainers schedule so they are aware of the appointment and no further bookings can be made for this time. 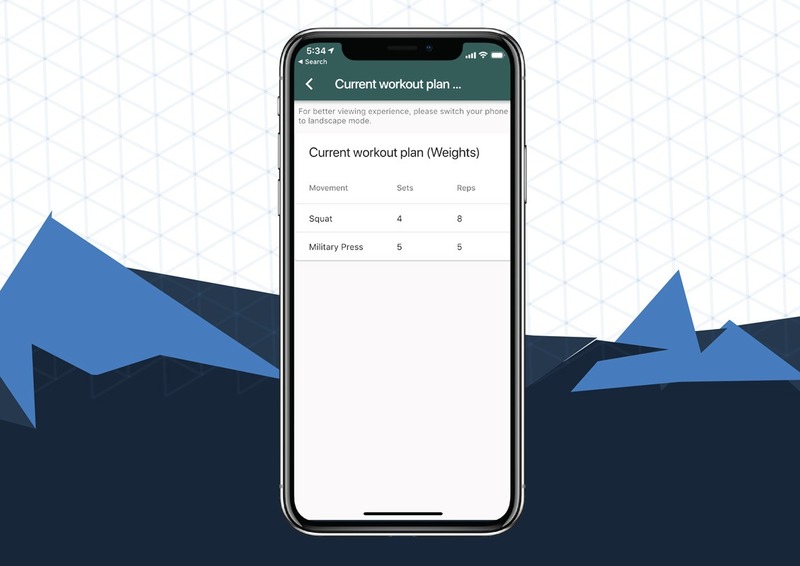 Next we have workouts and measurements, these allow your members to see workouts which they have been given by the personal training staff and lets them enter in and track their progress towards their body goals and compare against historical entries. From the membership page, members can see which plan they are on with your club, their membership number, the date they joined on and when their membership lapses. It also shows the number of visits they have made to the club down the bottom. This lets your members change a few settings within the GymMaster Member’s fitness club app to suit them better. At the top they are able to set which page they would like to be their startup page. 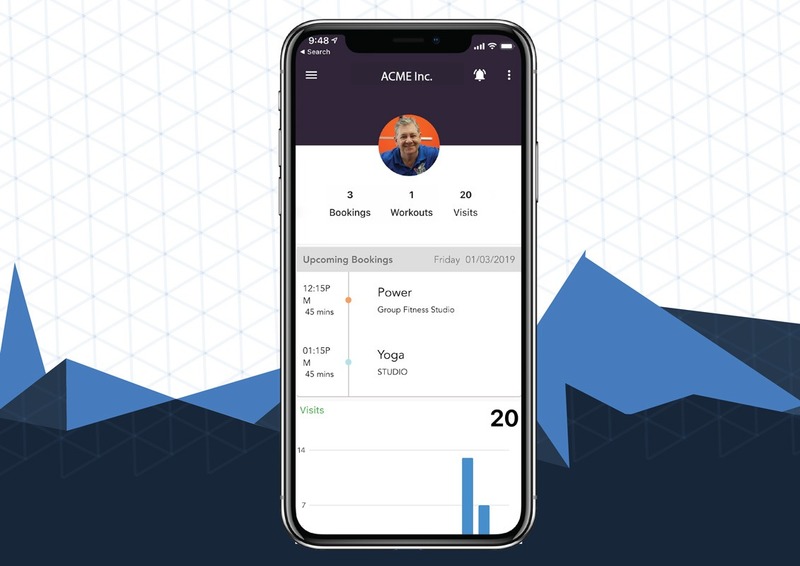 For example, members are using the app for booking classes frequently, they might set “Classes” to open automatically upon launch. They may also decide to have the app remember login details if they’re not sharing the device with other members. They are also able to toggle whether they receive email or SMS alerts from your club on this page.